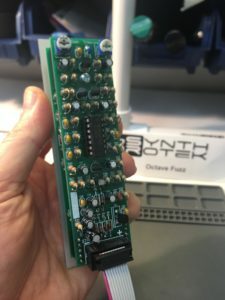 For our first build of 2019, we take on the Synthrotek Octave Fuzz module. You ask why we chose this module? 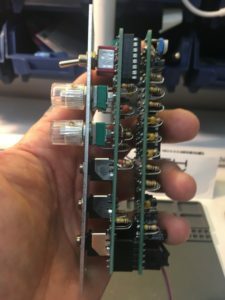 What attracted us to needing this module in our rack? 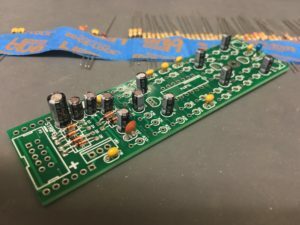 Well the answer is simple… that 1970’s fuzz sound that you rarely hear in music these days. 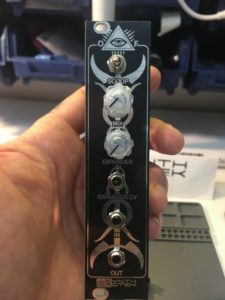 The Synthrotek Ocatve Fuzz is a relatively moderate build as long as you have a steady hand and patience while reading the BOM.  Synthrotek has always done a great job with the BOM and their assembly guides, and the Octave Fuzz is no different. 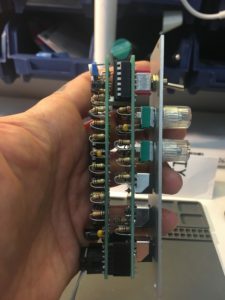 The tricky part of this build is that you need to populate two boards. This can quickly become a mess if you don’t have something to organize all of the parts in or if you aren’t paying attention to the BOM. 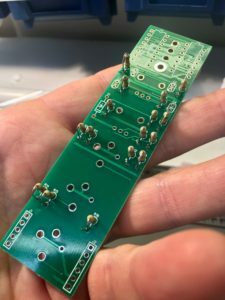 Just remember, if it gets too overwhelming, simply focus on one board at a time and separate parts accordingly prior to assembly. 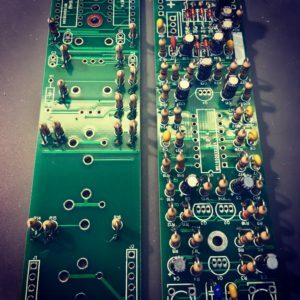 When it was all complete, we also swapped out the classic white Davies knobs with some cool clear Davies knobs to give our module that individual look it needed. We popped it into our rack, patched it in and turned up the 70s fuzz of nostalgia. 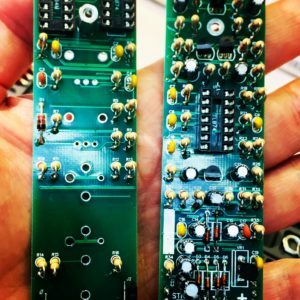 Check out the images of the build below, followed by the the Octave Fuzz Module Specifics. – Scoop switch for a ‘scooped’ mid-range, or to have a midrange boost. 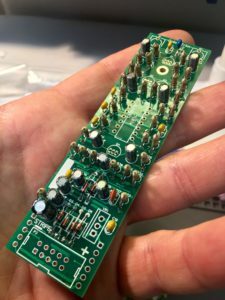 If you have any questions about the Synthrotek Octave Fuzz build, please feel free to contact us. 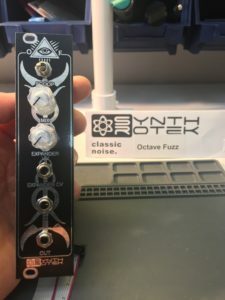 If you would like to purchase the Octave Fuzz kit, please click HERE to be redirected to Synthrotek where you can complete the purchase.